On July 4th 1964, Formula One won a competition for groups held at Burrows Green near Kendal, and the right to play at the Cavern Club the same month. Glenn Cornick was only 17 years old while playing in this band, still studying at Barrow Grammar School. 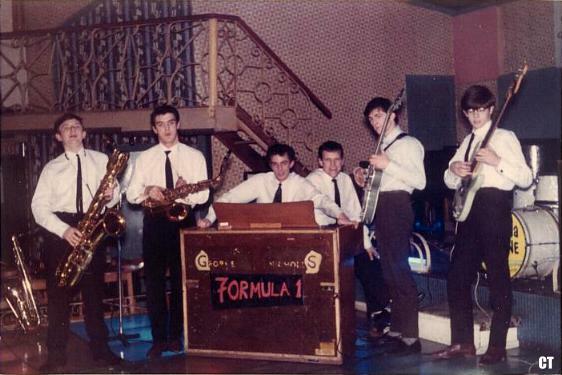 Glenn Cornick writes: "My first gig with that band was Oct 6 1963 and my last gig was early March 1965. I was supposed to play with them on March 7 but ran away to Blackpool instead! I still have the programme from the first gig with them. We played that one gig as 'The George Nichols Sextet' as we weren't a regular group yet and didn't have a name. George Nichols was the leader and keyboard player."